The most amazing thing that happened this season for me personally is that when Bigg Boss 7 started, I really liked Tanisha Mukherjee in the first few episodes. I guess its true for many people, not just me and this is why Tanisha was voted as Captain of the house twice in the beginning. One particular episode when she counselled Kushal to be the bigger man, realize the potential that the show will bring to his career and to NOT argue with Bigg Boss for a shaving machine for something. That time Tanisha showed a lot of sensibility and was definitely one of my favorites. 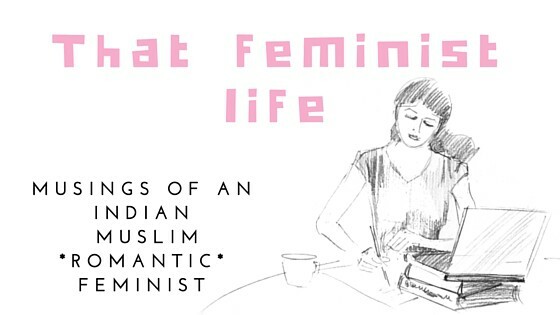 As the show progressed and Tanisha got close with Arman Kohli, her thinking and winning potential DIED. On the other hand, I disliked Gauhar in the beginning when she was accused of giving her opinions about everything. It seemed like she talks a lot and dominates others. Apparantly, the one who talks a lot, does NOT keep things inside, does NOT hold grudges and has a clear soul. Gauhar may have gained hatred in the beginning but very soon, she began to be the voice of BB7, it was impossible to NOT take notice of her. If we talk of all the women in the house, the only one closest to Gauhar is Eli Avram. But the negative part of Eli is that ‘she is only face’ as Gauhar remarked in one episode. Sorry to say, I dont like to judge people by their faces but by her speech, Eli truly proved only to be the blond bimbo who does not use her brain. Apart from beauty, Gauhar is really talented. Her dances, her honesty in tasks and her sensibility, plus her cooking has obviously lead to her standing in that special position of the house. Pratyusha looked like a misplaced person, Kamya did not offer much as entertainment and Ratan was simply too honest and sweet to survive among the barbarians like Arman and Tanisha. Gauhar falling in love with Kushal was another highlight of Gauhar’s time at BB7. The best thing about the affair was that they both admitted it on national TV and did not sneak around like Tanisha and Arman. If you dare to love someone, you must have the guts to admit it infront of the world. Gauhar was friends with Andy and always stood for him while Andy lost track during tasks and got too personal. This also showed that Gauhar has a human heart which did NOT change during tasks. While Kushal was obviously insecure about Ajaz hanging around Gauhar, I would say HATS OFF to Gauhar for handling both men really well. She did not let Kushal feel bad and she maintained an open minded attitude towards Ajaz until the end. I guessed Gauhar would win the show even before the final episode when they showed the journey of each contestant. Sangram’s journey was so boring, I just skipped it completely (lucky I was watching on laptop). Tanisha was nothing but Arman’s secretary, dumb, without any thought and action. Ajaz was interesting and her role as HASEENA APA was truly unforgettable. Arman accused Gauhar that because she was left alone, she quickly made friends with Andy. He did not notice that when he was eliminated into the caravan, Tanisha was left alone and she immediately made friends with Andy and Kamya. Gauhar was in fact the only one who was fighting against the entire group during the last few days. Kudos for that courage, Gauhar. What I absolutely HATED ABOUT THE FINALE EPISODE tonight was that how abruptly Salman Khan announced her name and how quickly he wanted to leave. I was waiting to hear Gauhar’s thank you speech, her victory celebration with her family and comments from other participants about her victory, but it was saddening to see how unusual the wrap up was done and Salman announced going home even before the trophee was handed over. What the hell is his problem with Gauhar, I can never get it. 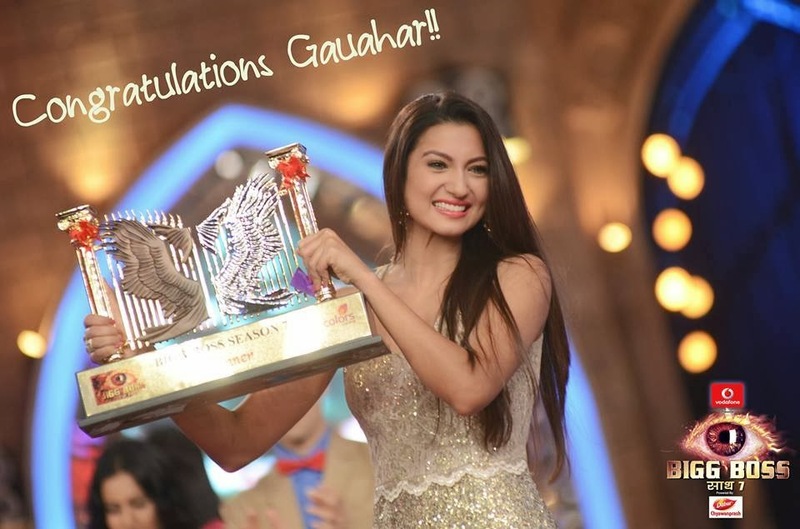 Gauhar Khan deserved to win and I am glad that first time in the history of reality TV shows, an honest and truly deserving contestant has won. All cheers and DUA for Gauhar! “NASRUM MINALLI WAL FATAHUN QAREEB” as you said Gauhar.